Find yourself wondering: Where can I purchase a mattress in New Jersey? Well, we’re here to help! Everyone needs a good night sleep no matter what you do throughout your day. We spend a large portion of our lives sleeping so a mattress is an essential purchase and we know that! 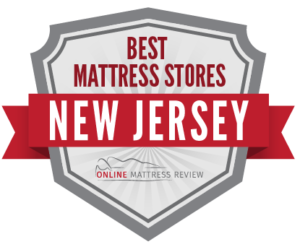 What we did was take a look at all the major cities in New Jersey and sussed out which mattress stores provides high quality products, great customer service, and prices to match a wide-range of budgets. We know that purchasing a mattress can be daunting, so we did our best to help you narrow down your options. Below you will find mattress stores located across New Jersey. If you need a mattress in Newark, you are in the right spot. We took a look through mattress stores throughout Newark and found the most acclaimed through reviews. These mattress shops offer quality name-brand mattresses, top-notch customer service, and a mattress that matches every type of budget. Inside of Mattress Firm Newark (92 Ferry St.) you will find a quality sales team and a wide-array of mattresses from which to select. We recommend this location for first-time mattress shoppers and veterans alike. Shifman Mattress (1 Mott St.) offers quality high-end mattresses. If you are the type of person who deals with chronic pain or other issues that affect sleep, you may want to consult with an expert at Shifman. Though not a cheap option, the value comes through quality nights of sleep. When looking for a mattress near Newark, try S&S Furniture Gallery in Irvington (976 Springfield Ave.). Also near Newark S&S Furniture Gallery. Here you will find not only a mattress to fit you and your budget but also a bed frame and all other necessary accessories. The staff is pleasant and knowledgeable and there is something for every price range. If you are looking for an organic mattress near Newark, try Stone Home Organics in Upper Montclair (219 Bellevue Ave.). Here you will find quality and comfortable all natural organic mattresses free from toxins. If you’re looking for ways to live around fewer toxins, an organic mattress is a good place to start. Looking for a mattress store near Jersey City? Here are some of the best. We took a look through mattress shops in and near Jersey City and found the best ranked for product, price, and customer service. Mattress Firm Jersey City (701 Nj 440) is located in the heart of Jersey City and is home to some of the finest customer service in the city. You will find all of the name brand mattresses that you have come to know as well as convenient payment plans, and straight-forward delivery service. If you’re looking for a mattress near Jersey City, you could head over to Manhattan and check out Craig’s Beds (247 W 38th St.) where you’ll find a mattress for every budget, and an extremely knowledgeable staff. You will want to make an appointment before heading to Craig’s Beds. Sleep Island is a locally-run mattress shop near Jersey City located in Hoboken (533 Washington St.). This mattress shop offers personal customer service, custom made mattresses, and mattresses for all ages. If you’re looking for an affordable mattress near Jersey City, try Sleep Island. Are you wondering: where can I find a mattress shop near Trenton, New Jersey? The answer is: here! We combed through mattress stores in and near Trenton and found the highest ranked for quality and customer services. Here’s what we found! Mattress Warehouse (950 RT-33 Ste 5 Hamilton) is a great place to head if you’re looking for a mattress near Trenton. You will find reliable products, and friendly knowledgeable staff members to help you select a mattress that works for your sleep patterns and your budget. South Broad Furniture-located in downtown Trenton (1337 S. Broad St)- offers convenient delivery options, high quality mattresses and great customer service you would hope to find in a locally run business. Another great option is Mattress Firm Fairless Hills (109 Lincoln Hwy). At Mattress Firm Fairless Hills you will find great name brand mattresses for all budgets. The sales personnel are very knowledgeable about the products for sale and will help you get a good night sleep without breaking the bank. Financing and worry-free shipping are also available. Furniture Mecca (1600 N Olden Ave Ewing Township, NJ) offers amazing prices on mattresses and beds. You will find affordable mattresses and great customer service. For a quick and easy experience purchasing a mattress, try Furniture Mecca. There is one highly-ranked mattress shop directly in Atlantic City- Mel’s Sales Factory Direct Bedding and Furniture (508 Atlantic Ave.). This is a family-owned and operated mattress shop. You will find quality customer service, a great selection for all price ranges, and timely convenient delivery. If you’re looking for something directly downton, try Mel’s. When in Somer’s Point near Atlantic City, you have two options: Mattress Warehouse, and Big Wally’s. Mattress Warehouse (512 New Road) offers quality name brands, quality service, and next day delivery! Big Wally’s offers a great deal on mattresses and furniture. If you are shopping for mattresses on a budget, we highly recommend Big Wally’s ( 514 New Rd.). If you live a little further off the coast, try Mattress Firm in May’s Landing (4450 E. Black Horse Pike) where you’ll find great quality mattresses, affordable options, and convenience delivery as well as financing available.